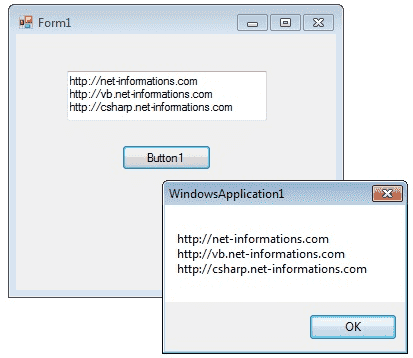 A TextBox control is used to display, or accept as input, a single line of text. This control has additional functionality that is not found in the standard Windows text box control, including multiline editing and password character masking. A text box object is used to display text on a form or to get user input while a C# program is running. In a text box, a user can type data or paste it into the control from the clipboard. For displaying a text in a TextBox control , you can code like this. You can also collect the input value from a TextBox control to a variable like this way. 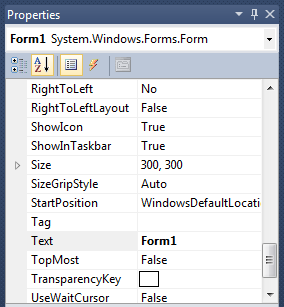 You can set TextBox properties through Property window or through program. You can open Properties window by pressing F4 or right click on a control and select Properties menu item. The below code set a textbox width as 250 and height as 50 through source code. You can set background color and foreground color through property window and programmatically. You can set 3 different types of border style for textbox, they are None, FixedSingle and fixed3d. Sets the maximum number of characters or words the user can input into the text box control. When a program wants to prevent a user from changing the text that appears in a text box, the program can set the controls Read-only property is to True. You can use the Multiline and ScrollBars properties to enable multiple lines of text to be displayed or entered. The above code set the PasswordChar to * , so when the user enter password then it display only * instead of typed characters. You can add new line in a textbox using many ways. How to retrieve integer values from textbox ? Parse method Converts the string representation of a number to its integer equivalent. From the following C# source code you can see some important property settings to a TextBox control.